Can Antibiotics Decrease Birth Control Pill Effectiveness? When used correctly, birth control pills have a 91% effectiveness rate. As the leading, most popular form of birth control, the pill is used by 28% of all women of reproductive age in the U.S. While the pill is highly effective at preventing unintended pregnancy, many women will use birth control pills for health benefits too. Birth control pills can clear up acne, regulate periods, decrease menstrual pain, and alleviate symptoms of PCOS. But some popular medications can interfere with the pill’s effectiveness, mainly antibiotics. How much do antibiotics impact the efficacy of birth control pills? And are there other medications that can influence birth control pills or other contraceptive methods? The following article will explore how antibiotics and birth control pills impact each other, and what women can do to prevent pregnancy while using antibiotics or other prescription drugs. How do antibiotics impact the birth control pill? There are two different ways that antibiotics can interfere with the pill’s effectiveness. Mainly, it has to do with the level of estrogen hormones in the birth control pill and how the liver processes these hormones. The estrogen in birth control pills is a synthetic hormone called ethinyl estradiol. Estrogen helps prevent ovulation and subsequent conception from occurring. The liver processes everything a person puts into their body, including birth control pills and other medications. 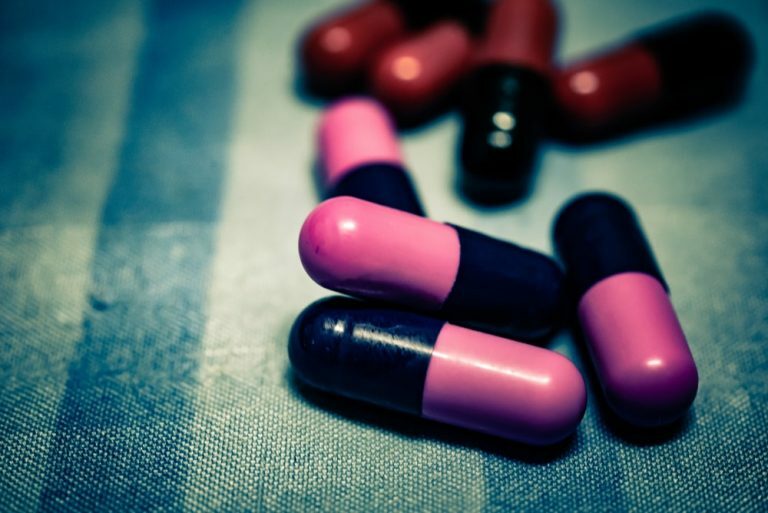 When someone takes certain types of antibiotics, these antibiotics increase the liver’s ability and speed at which it breaks down the estrogen hormones in the pill. If someone is taking the pill and one of these antibiotics simultaneously, the estrogen in the pills that helps prevent pregnancy will be decreased. An unintended pregnancy can result from this process. The other way antibiotics decrease the pill’s effectiveness is by reducing the amount of estrogen that gets re-circulated throughout the body. The estrogens in the birth control pill, when broken down in the liver, are then converted into other chemicals. These converted chemicals are secreted out of the liver in the form of bile and are absorbed by the intestines. Gut flora in the intestines then turn these chemicals back into active estrogen. Finally, the body reabsorbs the active estrogen from the intestines. The process of estrogen recirculation is called entero-hepatic cycling. The way antibiotics work is that they kill off any bad bacteria that is causing an infection. But, antibiotics don’t discriminate between good bacteria and harmful bacteria. The human body is made up of billions of different types of beneficial bacteria that play a key, integral role in many different biochemical processes. A number of these good bacteria colonize the intestinal tract. When someone takes antibiotics, these gut bacteria get killed off too, in addition to the bacteria that are causing an infection. It is these good bacteria that are enabling the process of entero-hepatic cycling. Taking antibiotics interferes with this process, rendering birth control pills less effective. An unintended pregnancy could happen despite taking the pill correctly. What antibiotics are known to interfere with the birth control pill? There are dozens of antibiotics on the market that are prescribed for different infections. Some infections can be so aggressive that a person may need to try several rounds of antibiotics before getting better. Also, antibiotics can be called by different names, although they are the same drug. It’s crucial that patients on the pill ask their doctor if the antibiotic they are getting can interfere with their birth control pill, ring, or patch. Rifampin can also interfere with the birth control patch and the ring too. It is a drug used to treat tuberculosis, so it is fortunately not commonly prescribed in the U.S. Topical antibiotics, however, do not interfere with birth control pill effectiveness. Can other medications interfere with birth control pills? Yes, several medications can make the pill less effective besides antibiotics. As always, it’s critical for patients to speak to their doctors about how all of their medications can interact with or impact each other. The antifungal medicine griseofulvin can impact birth control hormones. Anticonvulsants and seizure drugs can interfere with birth control, including Tegretol, Dilantin, Mysoline, and phenobarbital. Certain HIV medicines can also impact birth control negatively. St. John’s wort can also reduce the pill’s effectiveness. Antidepressants and diabetes medications can also interfere with birth control pills. When a patient stops or starts a new medicine, it’s a good idea to ask the pharmacist to run a drug interaction screening to check for interactions. What should women do if they need to take an antibiotic while on the pill to prevent pregnancy? Birth control methods are most effective when used consistently. When it comes to the pill, the pill works best if it is taken at the same time every day. But even with perfect use, the pill has a 1% chance of failure. With regular, everyday use, that failure rate is as high as 8%. When someone adds in the volatility of different drugs and their interactions, including antibiotics, then the chances of an unintended pregnancy while on the pill increase further. If a woman is taking an antibiotic or other medication known to interfere with birth control pills, it’s crucial that she uses an additional contraceptive method. It’s also a good idea to use this backup method for at least a month after stopping antibiotics. Even just one missed pill or one pill rendered ineffective can induce ovulation. Doctors usually recommend women use either condoms or spermicide as a backup birth control method. Even though the pill can fail while a woman is taking antibiotics, it is still a highly effective and safe contraceptive method to prevent unintended pregnancy. Companies like Pandia Health are leading the way to giving women safe and convenient access to birth control pills with birth control delivery services. When women have the ability to plan their pregnancies, they experience better health outcomes for themselves and any children they choose to have.